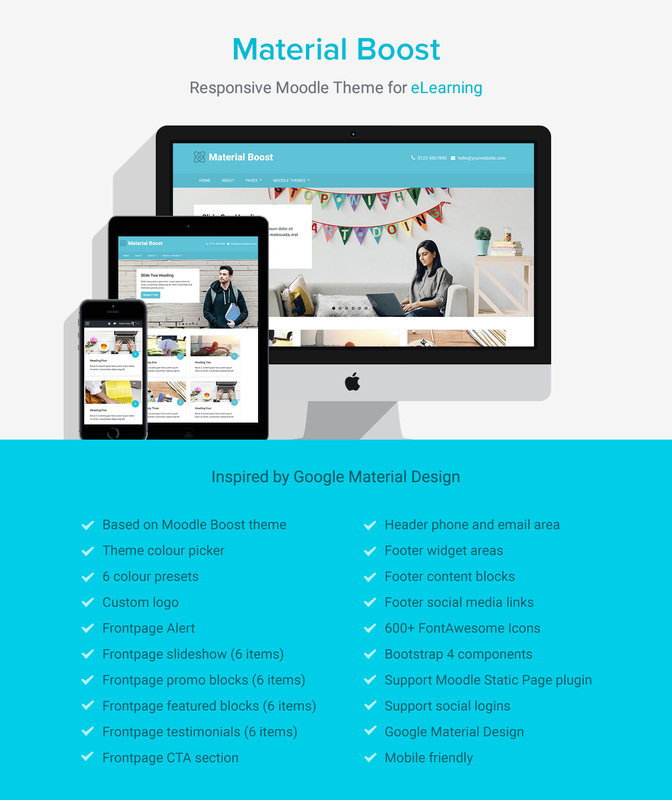 Material Boost is a responsive Moodle theme inspired by Google Material Design. It uses Material Design’s vibrant colour palette and comes with 6 Material design colour presets. You can easily change the primary theme colour via the theme colour picker. The landing page adopts the popular card-based design and provides plenty of marketing blocks for you to promote your courses or content. This theme is built based on Moodle’s core theme Boost and uses the latest Bootstrap 4 framework so there’re many handy Bootstrap components you can use within your Moodle site. For full theme features please check out the theme demo and the feature list below.